Data & Society Labor Engagement Lead Aiha Nguyen explains how technology is enabling new and more invasive forms of surveilling workers. Digital Identity in the Migration & Refugee Context analyzes the challenges of continually collecting identity data from migrants & refugees. Data & Society 2015-2016 Fellow Wilneida Negron connects her past social work to her current work as a political scientist and technologist. As AI becomes integrated into different facets of our lives, Data & Society Researcher Kadija Ferryman joins Robert A. Winn in considering what this means for the field of health. In Content or Context Moderation? by Robyn Caplan illustrates the organizational contexts of three types of content moderation strategies by drawing from interviews with 10 major digital platforms. Need medical help? Sorry, not until you sign away your privacy. Data & Society Health + Data Lead Mary Madden considers what patient privacy means in the current age of technology. 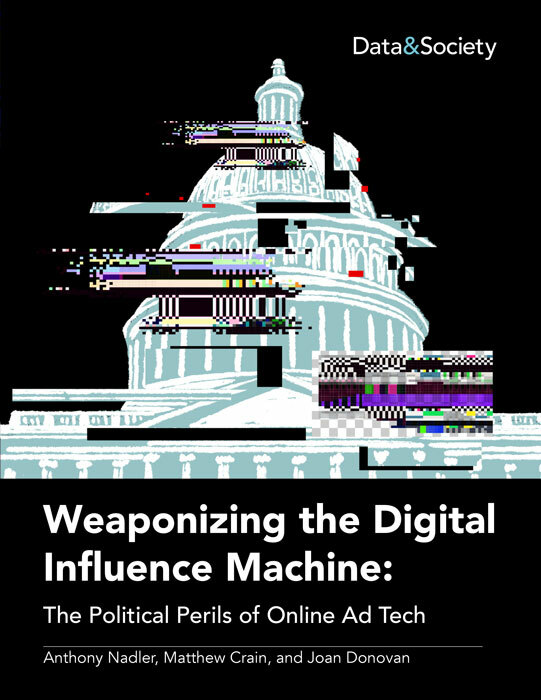 Alternative Influence: Broadcasting the Reactionary Right on YouTube presents data from approximately 65 political influencers across 81 channels to identify the “Alternative Influence Network (AIN)”; an alternative media system that adopts the techniques of brand influencers to build audiences and “sell” them political ideology. On September 13th, Data & Society Founder and President danah boyd gave the keynote speech at the Online News Association Conference. Read the transcript of her talk on Points. 2017-2018 Fellow Jeanna Matthews and Research Analyst Kinjal Dave respond to Deji Olukotun’s story about an algorithmic tennis match. 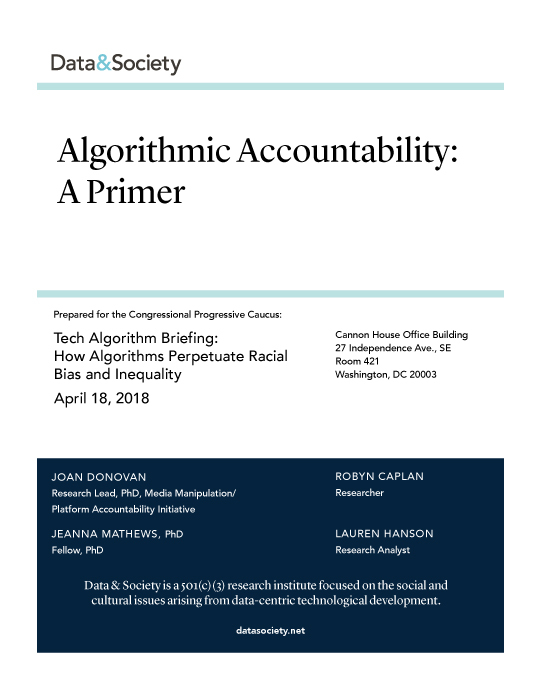 This report by Data & Society Researcher Bonnie Tijerina and Michael Zimmer is the culmination of gatherings that brought together different privacy practitioners to discuss digital privacy for libraries. 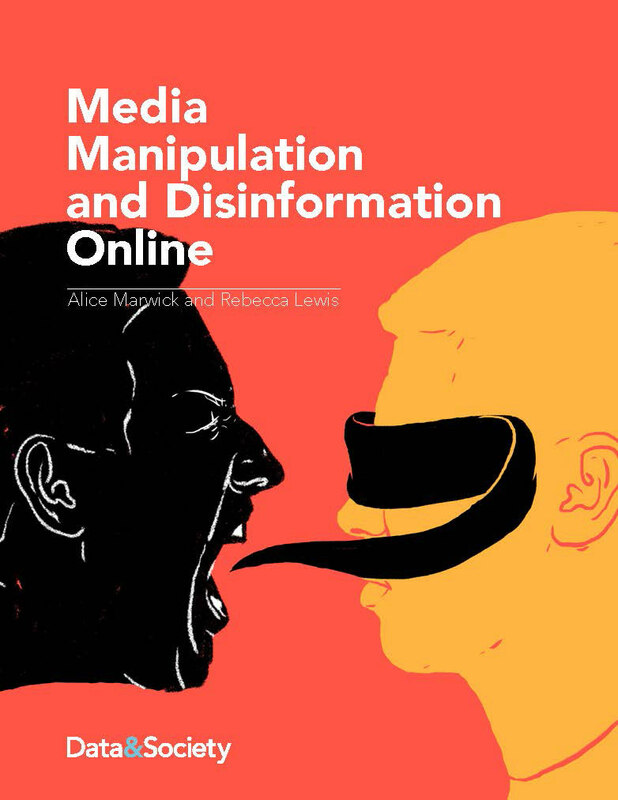 How can we trace the spread of disinformation by tracking metadata? Data & Society Research Affiliate Amelia Acker explains. In an op-ed for The New York Times, Data & Society Researcher Alex Rosenblat shatters the narrative that Uber encapsulates the entire gig-economy. 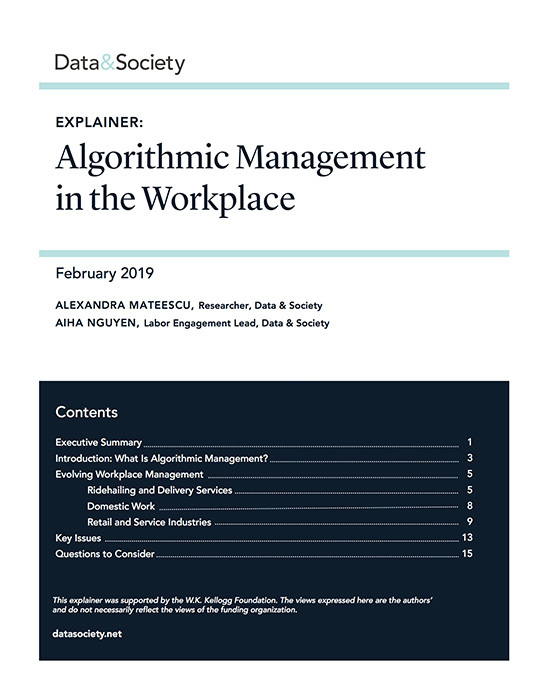 In this reading list, Data & Society Researcher Alexandra Mateescu and Postdoctoral Scholar Julia Ticona provide a pathway for deeper investigations into themes such as gender inequality and algorithmic visibility in the gig economy. Data & Society INFRA Lead Ingrid Burrington traces the history of Silicon Valley and its residents. For Points, Data & Society Postdoctoral Scholar Caroline Jack reviews the history of advertising imaginaries. In this Medium post, Founder and President danah boyd reflects on the current state of journalism and offers next steps. Data & Society Research Analyst Melanie Penagos summarizes three blogposts that came as a result of Data & Society’s AI & Human Rights Workshop in April 2018. How will the introduction of AI into the field of medicine affect the doctor-patient relationship? Data & Society Fellow Claudia Haupt identifies some legal questions we should be asking. How do people decide what to trust? 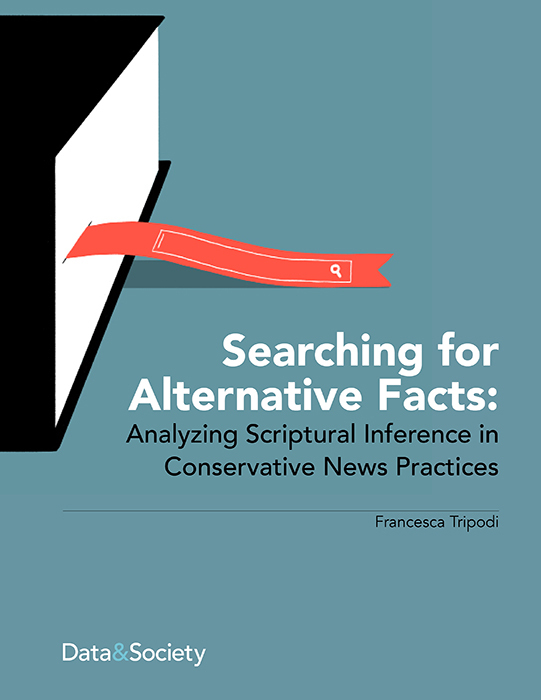 Data & Society Postdoctoral Scholar Francesca Tripodi shares insights from her research into conservative news practices. Data & Society Data & Human Rights Research Lead Mark Latonero and Zachary Gold look at the history of web crawlers usage and legal issues surrounding that usage. Data & Society President and Founder danah boyd and Media Manipulation Research Lead Joan Donovan challenge newsrooms to practice “strategic silence” to avoid amplifying extremist messaging. In e-flux, Data & Society INFRA Lead Ingrid Burrington contemplates the maps of the internet.